4th of July is nearly here! There are celebrations all around the Boulder area, from fireworks shows to pancake breakfasts and parades to bluegrass and BBQ. Fill your summer day off with one or more of these fun local events. Happy Independence Day! Ralphie’s Independence Day Blast has been a Boulder tradition since 1941. Crowds of thousands gather each year at CU’s Folsom Field to enjoy Boulder’s largest fireworks display and local entertainment such as Jeff and Paige, Funkiphino, School of Rock, Pearl Street Jive, Beat Frequency, and of course, Ralphie. This event is hosted by the associates of WK Real Estate, the University of Colorado at Boulder (CU) and the City of Boulder. Media Sponsors include the Daily Camera, KBCO and Boulder Channel 8. Ralphie’s Independence Day Blast is held at CU’s Folsom Field, 2400 Colorado Ave, Boulder, CO 80302. 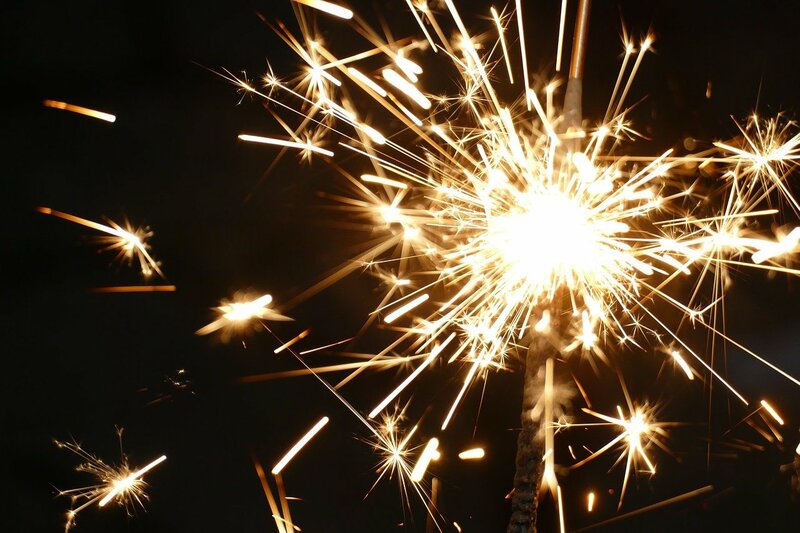 Enjoy an old fashioned July 4th in Lafayette with an Independence Day Celebration and Fireworks Show at Waneka Lake with food from Abo’s Pizza, Suburban Wiener, Uturn BBQ and Butcher and the Blonde. Uturn, Cider-Stem Ciders & Wine Garden will be serving adult beverages. Kids’ activities include free face painting. Ticketed events include a bungee trampoline, bounce house and more. Live music from Chris Daniels and the Kings. Fireworks begin at dusk. The celebration will be held at Waneka Lake, 1600 Caria Dr, Lafayette, CO 80026. Estes Park hosts an All-American Fourth of July celebration with one of the most spectacular fireworks displays in the state. Start the day with Coolest Car Show featuring more than 100 vehicles, from “Steam -to-Electric” will be displayed at the Estes Park Events Complex, located at the Fairgrounds at Stanley Park. Along with steam and electric cars, other street rods, stock cars, muscle cars, sports cars, vintage and classic cars will be on display. At 7PM, the Estes Village Band tunes up for its annual patriotic concert featuring the works of John Philip Sousa and others. The concert is free to attend and will be held at the Performance Park Amphitheater, at the west end of downtown. The Big Bang Concert is everything you are looking for in one location! A view of the fireworks along with music, food, local craft beer and wine at the Estes Park Fairgrounds in the Grandstands. The Fireworks Show starts at 9:30PM over Lake Estes! You won’t want to miss one of Colorado’s most glorious fireworks displays. Find a grassy spot at Stanley Park, along the Lake Estes Trail or on your favorite mountainside to join in this annual tradition of national pride. Estes Park Fairgrounds is located at 1209 Manford Ave, Estes Park, CO 80517. Broomfield is hosting fireworks and a celebration for the entire family to the 4th of July Great American Picnic! At the picnic, enjoy a free concert with the 17th Avenue AllStars and That Eighties Band, pony rides, inflatables, food, drinks and a firework display at the end of the night. For all the details, click here. The 4th of July Great American Picnic is held at Broomfield County Commons Park, 13200 Sheridan Boulevard, Broomfield, CO 80020. Celebrate the 4th of July in Louisville at the Coal Creek Golf Course! Food and fun starts at 6:00PM with FREE face painting, balloon twisting and henna. Ticketed activities include bouncy houses and other inflatable fun. Food trucks will be on site in the Coal Creek Golf Course parking Lot. Beer, wine, and mixed drinks are available for purchase from the Sweet Spot Cafe tent on the golf course. Live music begins at 7:15 with a concert of patriotic music played by the Boulder Concert Band. Band will be located under the pavilion near the clubhouse. Fireworks will launch at dark (approximately 9:45 pm). Fireworks will launch over the Coal Creek Golf Course driving range. This community event is sponsored by American Legion Post 111. For all the information, click here. Coal Creek Golf Course is located at 585 W Dillon Rd, Louisville, CO 80027. Head to downtown Boulder for a special 4th of July celebration featuring live music from The Hazel Miller Band and more at 4th on Pearl! Plan a full day in Boulder for America’s Birthday. There will be activities and an extended beer garden on the 1300 Block of Pearl Street and the Boulder County Courthouse Lawn. Live music begins at 1PM with Many Mountains, continues at 3PM with Sonic Arcade, finishing with headliner, Hazel Miller Band. Parking on the holiday is FREE in City of Boulder Parking Garages. 4th on Pearl is held in downtown Boulder at the Pearl Street Mall. The Clock Tower Collective and the Town of Nederland are hosting the Nederland Independence Day Parade. The parade starts at 11:30PM, and everyone is invited to participate (or watch). No fireworks this year – sorry. If you would like to participate, meet at Guercio Field to register and line up by 11:30AM. Pets should be on leash. Vehicles must be licensed/insured. For parade watchers, the parade will come up East First Street at noon. It usually repeats itself, so you’ll catch every costume, person, animal, instrument, and mode of transport, the second time around. For more info, click here. The Nederland Independence Day Parade will be held in downtown Nederland. Celebrate July 4th by running in honor of your Greatest American Hero at the Let Freedom Run 5k, 10k and Kids Run. Your hero may be your Mom or Dad, Albert Einstein, Bob Barker, Abraham Lincoln, Elvis, The Powerpuff Girls, or Spiderman! Read about everyone else’s American Hero at the race and tell other people about yours. Even better than reading about Greatest American Heroes is being one! Enter the costume contest by dressing up as your American hero or your favorite super hero!! After your race, enjoy delicious free apple pie and wash it down with some cold ice cream. For all the info, click here. The Let Freedom Run will begin at the Louisville Recreation Center, 900 Via Appia Way, Louisville, CO 80027. 5K is $35/person, 10k is $45/person, Kids Fun Run is FREE. Register here. Superior is hosting its annual 4th of July Parade & Pancake Festival! The Superior Downhill Mile will start off the 4th of July festivities at 7:00AM. This fastest street mile in the United States is a local favorite. Followed by the Community Parade at 8:30AM. This year’s theme is “Let Freedom Ring”. The Pancake Breakfast begins at 9:00AM at Community Park. After breakfast, enjoy a fun and relaxing morning shopping, browsing and playing. There will be plenty of vendors, live music from Ultralowfi, inflatables for kids, and lots more! Community Park is located at 1615 Coalton Rd, Superior, CO 80027. Join the Longmont Symphony Orchestra for the annual 4th of July Summer Concert in the Park. Complete with patriotic music, a picnic contest and prizes, kids conducting the orchestra, and cannons for the 1812 Overture, this free performance can’t be missed. The Longmont Youth Symphony, Longmont Chorale and Longmont Symphony with Elliot Moore, Music Director will be performing. For the full schedule and more details, click here. 4th of July Summer Concert in the Park is held at Thompson Park, 420 Bross St, Longmont, CO 80501. This event is FREE. The Gold Hill Inn is hosting the 4th of July Twang Fest and BBQ! Celebrate the 4th with live bluegrass and amazing BBQ. Live music featuring Halden Wofford and the Hi-Beams with Bill Kirchen, FY5 and 300 Days. $20 for Music + $15 for BBQ. The Gold Hill Inn is located at 401 Main St, Boulder, CO 80302. Looking for something family-friendly and fun to do this Independence Day? The TinkerMill 4th of July Carnival is an afternoon of fun activities, live entertainment, and a great view of the Longmont fireworks display! The carnival includes “Water Wars” Water Balloon Launchers, Trebuchet, Dunk Tank, Food Trucks, Live Music and more. Admittance to the TinkerMill 4th of July Carnival is free, with a suggested donation of $5. For all the details, click here. TinkerMill is located at 1840 Delaware Pl Unit A, Longmont, CO 80501. Niwot celebrates the 4th of July with a pancake breakfast, live music, games, a parade and more! The Fire House Museum will be open for tours. Bongo the Balloon Man will make a special appearance. For the full schedule and all the details, click here. Niwot’s 4th of July celebration is held in Cottonwood Square. Not an official 4th of July event, but definitely something fun to do on your day off! Gather your friends and family and join Colorado Chautauqua for its 120th birthday! This family-friendly, FREE celebration on the Chautauqua Green features two sets of Americana music by one of the premier community bands in the state, Boulder Concert Band. Consisting of over 70 volunteer musicians, the band’s performance will feature a wide variety of traditional patriotic music including John Philip Sousa’s “Stars and Stripes Forever,” starring any kid conductor willing to give it a try. Bring your appetite and let the staff of the Chautauqua Dining Hall take care of the rest. Serving delicious BBQ-style cuisine on the stone patio and baked goods, grab-n-go snacks and $1.20 single-scoop ice cream in the General Store, there is something for everyone to enjoy. Feeling thirsty? Stop by the Chautauqua Dining Hall for happy hour prices on beer and wine. Colorado Chautauqua is located at 900 Baseline Rd, Boulder, Colorado 80302. This event will be held Wednesday, July 4, 2018 at 10AM. FREE to the public.